From the dashboard in the app, flip over to the 'Coached' tab (top right). Here you can start off your coaching experience by tapping 'Let's do this'. With this initial run of at least 10 minutes, the system will analyze your current running technique and identify any risks of injuries. After this baseline session you can input any pains you may have experienced during the run, and/or injuries you may have had in the past as well. 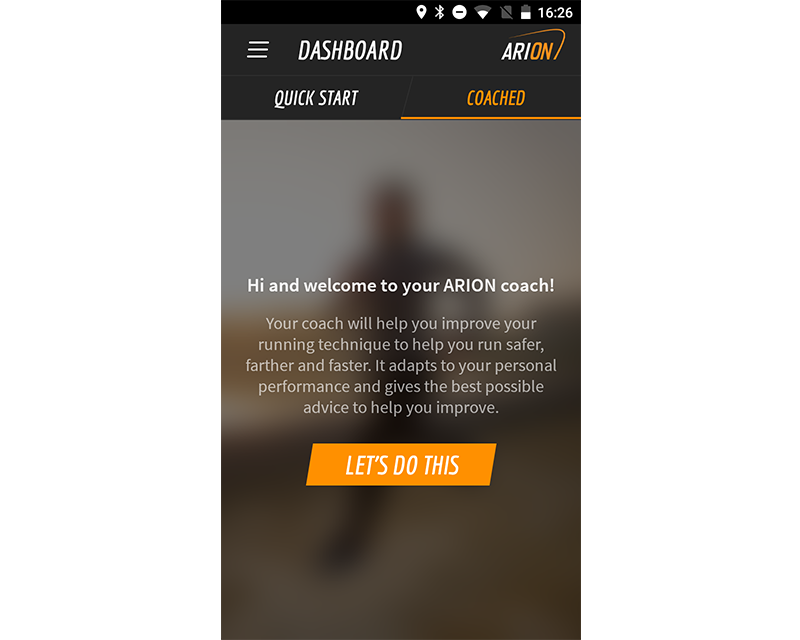 ARION then uses this information to make suggestions for your next run. Finished with your baseline session? That's great! Let's continue with a technique session or first check this article to learn how to analyze your run.